Michelle Dexter Garber is the founder and owner of Health Revolution Ayurveda. Michelle is a Registered Ayurvedic Practitioner with the Association of Ayurvedic Professionals of North America (AAPNA). She is a healer, educator, and author. In addition to her private practice, Michelle is an adjunct faculty member at the Maryland University of Integrative Health, teaching at the graduate level. 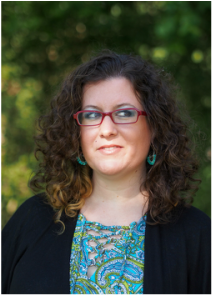 Michelle holds a Masters of Public Health Degree from the University of Liverpool with a specialization in International Public Health, and additional certifications as a Medical Intuitive, Certified Crystal Healer, and Reiki Master. Michelle has over 15 years of practical experience in the health sciences, giving her the expertise to bridge Eastern and Western medical traditions. In the future, Michelle hopes to collaborate with physicians in creating changes to the mainstream healthcare system to make the patient experience positive, reduce unnecessary testing, and improve treatment success rates. In the 1990s, Michelle provided clinical support for several concurrent antiretroviral phase III studies for many of the medicines that have since changed the landscape of HIV/AIDS treatment on a global scale. She also provided support for one of the first HIV vaccine phase III studies in the United States. Michelle plans to initiate future collaborations in research, to integrate the Ayurvedic framework into study design for subject screening, to help make sense of what are currently viewed as inconsistencies in data, and further modern scientific research regarding such topics as dementia and cardiovascular disease. In recognition of her professional status, Michelle was accepted to the University of Liverpool's MPH program for health professionals, where she earned her Master of Public Health degree, the completion of which involved several research studies including investigating the effectiveness of meditative therapies in the treatment of anxiety and depression. Michelle studied Indian Philosophy at George Washington University with the renowned scholar Alf Hiltebeitel, where she wrote a thesis on Ayurvedic practice in America and was awarded the Harry Yeide Prize for her scholarship. Michelle studied Anatomy and Physiology at the University of California Berkeley, and Ayurveda with teachers including Dr. John Douillard, Dr. Shekhar Annambhotla, and Diane Finlayson. Michelle completed a program with Swami Sadashiva Tirtha, the author of The Ayurveda Encyclopedia, to become certified as a Medical Intuitive. Additional trainings in Crystal Healing, Reiki, and Emotional Freedom Technique (EFT) have allowed Michelle to incorporate these into her Ayurvedic healing practice. Michelle has published research on a wide range of public health topics, including the effects of meditation on anxiety and depression, the effects of marijuana use on the nervous system, asthma prevalence in Baltimore City, water contamination by pharmaceuticals and personal care products, the environmental effects of the Green Revolution in India, and the cultural health implications of agricultural change in the Amazon Basin. Michelle's professional and educational backgrounds enable her to practice the full range of Ayurvedic medicine. Ayurveda is a complete medical system which uses healing tools such as herbal medicines, Yoga, meditation, spiritual practices, energy healing, music and art therapy, dietary modifications, and crystal healing. The guiding principle of Ayurveda is balance, and this is Michelle's foundational principle in her work. Michelle teaches her patients how to create revolutionary health shifts by individually creating balance in their lives. Major shifts happen when balance becomes perceived as a necessity rather than a luxury. In the Health Revolution Ayurveda program, gentle daily exercise, healthy eating, and meditation become necessities for whole health rather than luxuries indulged in only during vacations. It is then possible to experience the fullness of what Ayurveda has to offer: physical, emotional, spiritual, and mental health. ​Laura Kolb is a Certified Ayurvedic Wellness Coach who is passionate about sharing the healing power of Ayurveda with her clients. Laura was hired by Michelle in September of 2018, to provide in-depth nutritional coaching as well as new patient evaluations, and follow-up visits. Laura guides her clients step-by-step to create their best possible balancing lifestyle for promoting optimum health of mind, body, and spirit.